Home » Council Corner » Vacation Rental Bills in Tallahassee AGAIN!!!!! Vacation Rental Bills in Tallahassee AGAIN!!!!! Recently updated ! At the April 9 General Membership Meeting, City Manager Christopher Lagerbloom gave us an update on the status of HB 987 “Vacation Rentals” and SB 824 ” Private Property Rights of Homeowners” which are currently being voted on in various committees on their way to becoming law. 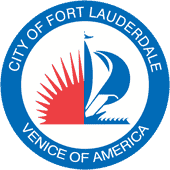 Both these bills seek to preempt the regulation of vacation rentals to the State and would invalidate Fort Lauderdale’s current vacation rental regulations. Apparently the “property right” to turn a house into a hotel is more important than the “property right” of residents to the peaceful enjoyment of their home and the safety of their families. 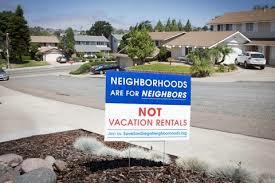 We urge you to vigorously oppose these bills and protect the ability of local municipalities to enact reasonable regulations for vacation rentals. Let us know as soon as possible what is your position on these bills. The following twenty-eight (28) neighborhood associations had a representative in attendance when the vote was taken: Bal Harbor HOA, Beverly Heights Association, Inc., Central Beach Alliance, Coral Ridge Homeowners Association, Downtown Fort Lauderdale Civic Association, Harbordale Civic Association, Harbor Inlet Association, Historic Dorsey Riverbend Civic Association, Idlewyld Improvement Association, Imperial Point Association, Lake Ridge Civic Association, Inc., Lauderdale Harbors Improvement Association, Lauderdale Manors HOA, Middle River Terrace Neighborhood Association, Poinsettia Heights Civic Association, Progresso Village Civic Association, Rio Vista Civic Association, Inc., River Gardens/Sweeting Estates HOA, River Oaks Civic Association, Rock Island Community Development, Sailboat Bend Civic Association, Shady Banks Civic Association, South Middle River Civic Association, Sunrise Intracoastal HOA, Tarpon River Civic Association, Victoria Park Civic Association, Melrose Manors and Lauderdale Isles Civic Association. Additionally, representatives for two (2) non-voting members were in attendance: Riverland Preservation Society and Central City Alliance.